Gathering My Roses: China Glaze -- A CRACKLE-ing Review! 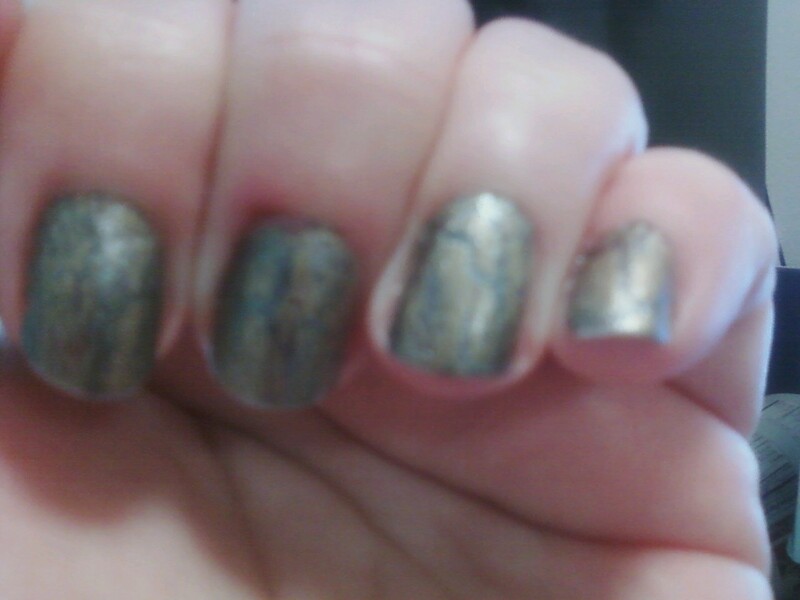 China Glaze -- A CRACKLE-ing Review! Okay... let's be truthful here... I'm a nail polish junkie. It all began when I turned 16. My Nan would NOT allow me to wear anything but clear / pale pink polish until I turned 16 -- and on my birthday, she presented me with about a half-dozen gorgeous colours! I do my own manicures -- always have. It actually serves as way to relax, de-stress, and just have a some quiet time. I discovered China Glaze a couple of years ago. Of course, the colours are just stunning! 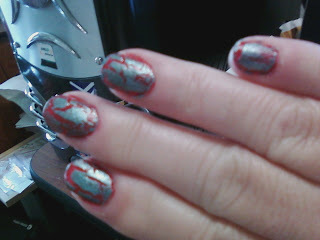 But when I heard about a new nail product called Crackle -- I wanted to try it! China Glaze generously sent me three bottles of their superb nail colour to try and two of those bottles were the oh-so-chic Crackle Metals! WooHoo! I received one bottle of Jitterbug from the Vintage Vixen Collection -- a shimmery, metallic that's perfect for a glamorous night on the town. It's also an amazing base for the Crackle. I'm on second manicure with the Crackle Metals and I hooked. So many colours... so many variations. What's not to love? I also love it that these manicures last -- and not just for a couple of days. I took off a perfect polish so that I could try the next set -- and had not one chip. China Glaze loves to connect with their customers (and a loyal bunch we are!) and would love to hear from you! You can *LIKE* them on their Official Facebook Page, @chinaglaze on Twitter, and on their YouTube Channel. I received a selection of China Glaze Nail Products for the purpose of review. I received no monetary compensation. I was under no obligation to write this review. The opinions expressed herein are my own and based on my own use of and experience with these items. Cool! I've always wondered if I'd like those crackles...I'll have to try one.